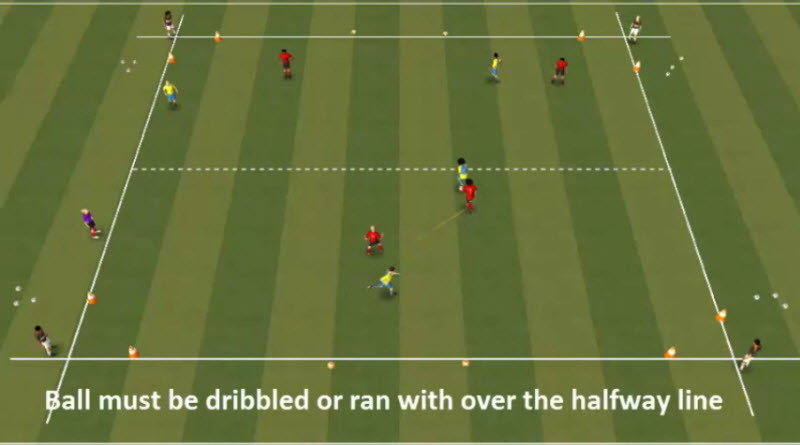 Football Training Drills that help players to understand and practice in game related situations the technique and skill of running with the ball, are really important to help players develop and improve this vital skill that can really carry attacks quickly and effectively to the opposition. Why would players want to run with the ball? Well there are a number of very simple reasons. Drive and carry the ball quickly up the pitch – a counter attack for example. 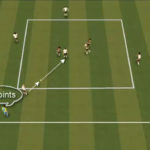 Commit defenders and create space for other players – sometimes just running with the ball for 5 yards commits a defender to the ball, this creates space for team mates to exploit. Therefore it is important that players practice the technique and skill of running with the ball. 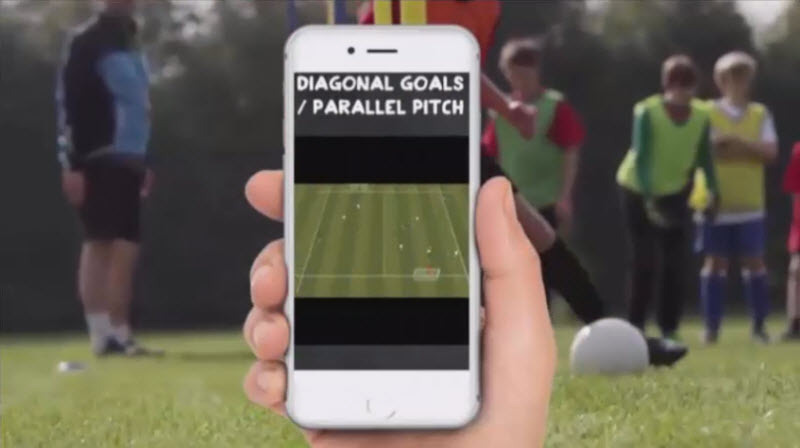 As you can see from the video, we have lots of run with the ball football training drills, that are fun, challenging and progressive and through the wave like nature of the football training drills, they will give the players lots of opportunities to create, practice and improve their game related running with the ball skills, both as individuals and as part of a team.